Retailers at the Grand Central shopping centre have smashed their sales targets, as the facility celebrated welcoming its millionth customer. Its first two weeks have been described as a great success, and bosses say they have been getting positive feedback from customers. The centre said some retailers have reported a 95 per cent increase on their initial expected sales targets . 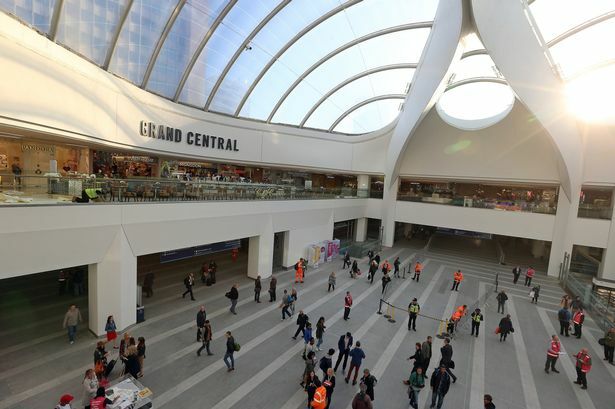 Sir Albert Bore, leader of Birmingham City Council, added; “The early visitor numbers and reports from traders at Grand Central are staggering and confirm it is a transformational regeneration project for the city – solidifying Birmingham’s position at the top of the retail league table. The increased footfall, which we hope will continue into the busy Christmas period and beyond, will benefit not only the retailers within the new complex, but those based in the wider city centre too.